Does putting a hot dog in boiling water sound like a lot of work? 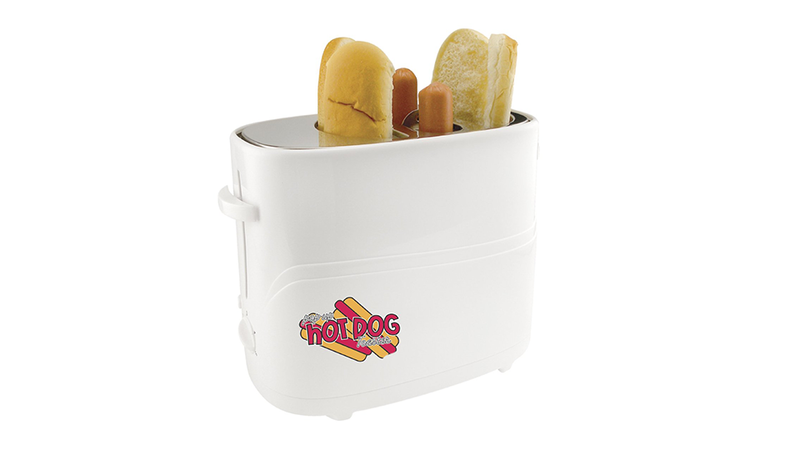 Then the hot dog toaster is for you. Sure its size and overly specific use may make it impractical, but at least it looks hilarious. 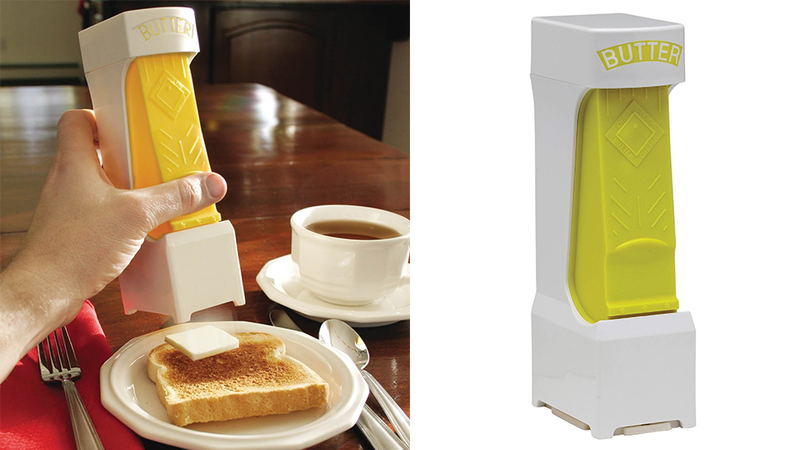 We discovered the specialized appliance on Gizmodo’s list of 11 insanely specific kitchen gadgets, which also includes the one-click butter cutter. 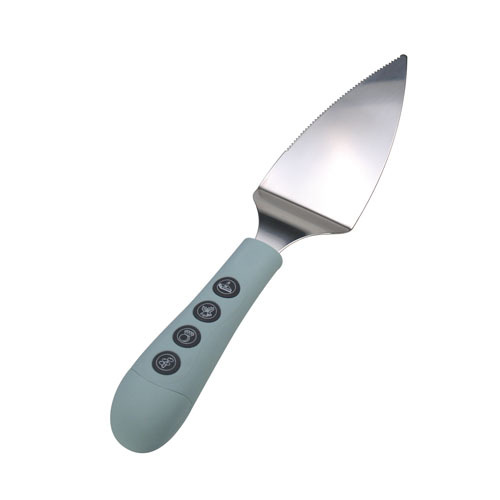 Perfect for someone who spends all their money on gimmick items rather than buying a set of table knives. 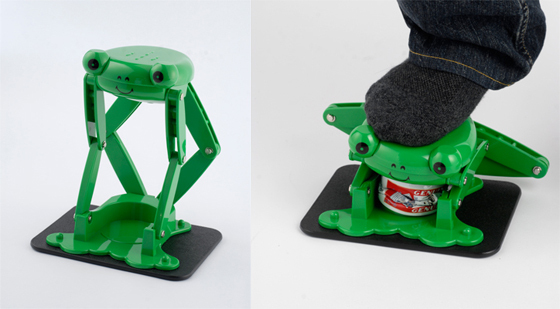 While Gizmodo’s roundup is as extensive as it is amusing, being the home enthusiasts that we are, we know of a few gadgets that could probably be added to the list, like the frog can crusher. You know, for when your forehead needs a break. 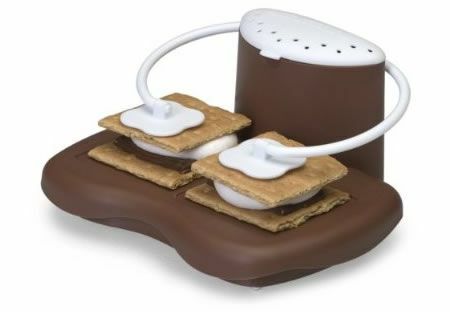 Also, the microwave s’more maker, because camping is for suckers. Do you even like the person whose birthday you’re celebrating? Don’t bother yourself with “Happy Birthday” — the musical cake slice sing it for you. That giant plate of spaghetti you’re about to eat is going to put you into a food coma the minute you’re through. 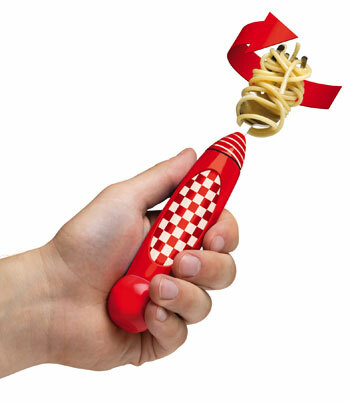 Better save your energy for the trip to the couch — let this electric fork do the pasta-twirling. 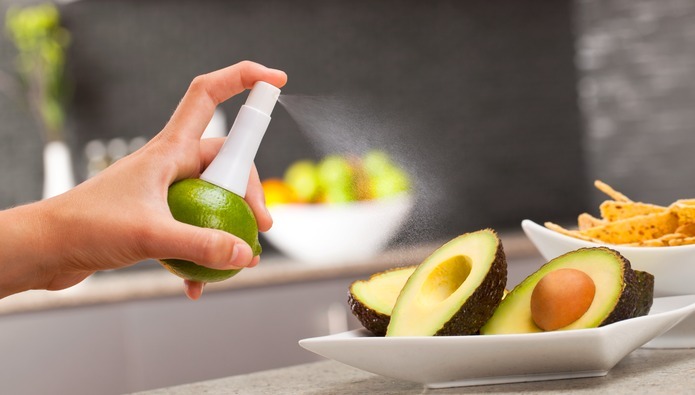 But perhaps our favorite inane kitchen gadget not mentioned by Gizmodo is “Stem,” which allows cooks to spray juice directly from a citrus fruit. It’s like perfume for your food. Or, if you live in an unsafe neighborhood, a fine substitute for pepper spray.